Images (left to right, starting at top left): "Mosaic in Secret Garden" by Alma Pacheco, "My Happy Little Garden" by Elizabeth Kaiser, "Satin Wave" by Nicole Schlesinger, and "Hidden Garden, Italy" by Lee Avallone. Today I'd like to introduce Abby Zweifel of Pomelo & Pomelo, a creative company ready to deliver patterns made to color your world awesome. Abby is an illustrator and print designer and resides in Sarasota, FL. She has her BFA in illustration from Ringling College of Art and Design. In the past she's worked for Carter's and Bealls Inc., before starting her own company. She enjoys knitting, baking, watching for ibises in her yard and evening walks with her hubby. What is your earliest influence that you can recall that inspired you to go into a creative field? AZ: Thinking back, I think of when you had to fill out that question, what do you want to be when you grow up, I always said artist. I don’t actually know why I wrote that or where that even came from. I knew a few of my mom’s friends who were artists, but they were very much traditional. For a long time I gave up on art, but got back into it in high school. I had a wonderful teacher for all four years and I really wouldn’t have gotten anywhere without him! At Ringling, all the illustration majors are taught in a traditional way. We all can paint and draw in traditional media, it was only in the last year of school that we got into making digital art. I didn’t realize there was this whole world of pattern design until I had an internship my junior year of college. That’s probably when I was like, “ hey this is awesome, I love to shop and make things so let’s do that!”. Where do you find inspiration for your designs? Do you find you have a common theme you return to or is it different for every collection? AZ: Making different marks and repeating that seems to be in my work recently. Also lots of doodly lines and bits for texture. Inspiration comes from everywhere. That sounds totally corny but its true. We live in a tropical area so florals and bright colors are my favorite. What type of pattern do you enjoy the most? 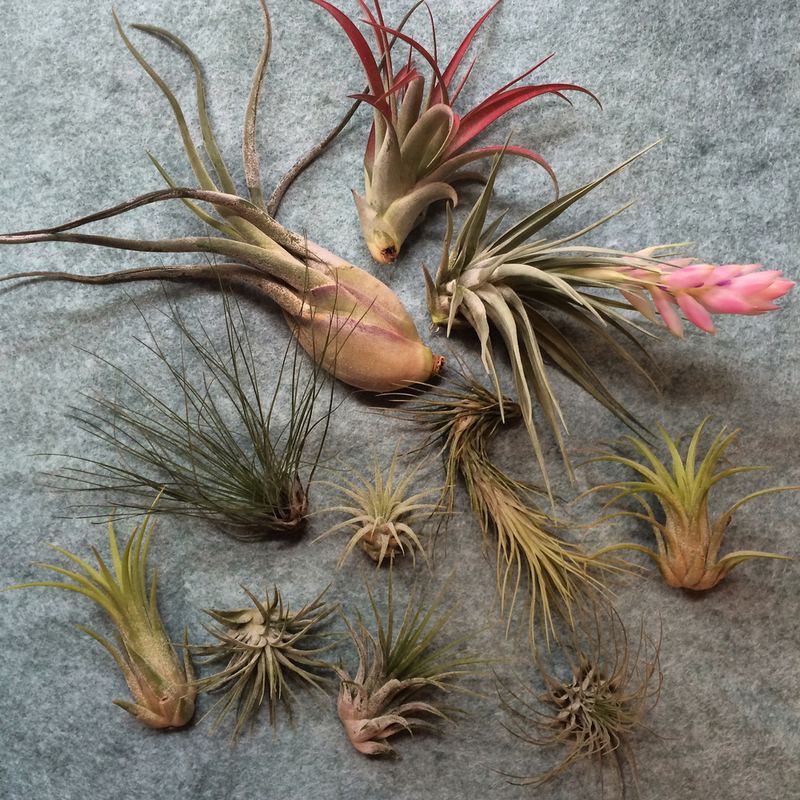 AZ: Lot’s of florally doodly bits. I’m pretty sure that’s the technical term for it. The more layers and depth the more I love it! Also anything that has a clever layout. One that makes you stop and go “Wow, look how they did that!”. What is your favorite product to have your prints on? AZ: I love seeing my work on drink ware. Like travel mugs or on Tervis tumblers. Ultimately, I’d like to see it on fabric in a quilt shop! Stationery would be pretty cool too. Do you have anything that helps motivate you while working? AZ: My go-to, "I need to get to FOCUS nowww", would be the 80-90’s station on Pandora. Such a guilty pleasure, but you can’t go wrong with the 80’s. Every Tuesday one of my favorite podcasts comes out, Sawbones: A Marital Tour of Misguided Medicine. It’s wonderful, I love that sort of stuff. Who do you look up to, someone you most admire or are influenced by? AZ: I have lots of people who influence me in different ways. I look up to those who have sort of blazed a trail in the pattern world and also to those who are doing their own thing really well. The ability to OWN it in everything you do is quite something. What do you think makes a strong print design? AZ: Color! Man, if there’s some not so great color combos going on, it doesn't matter how well you draw or how great your concept is! AZ: Ha! Meebs! I love the Meebs. Meebs started as a doodle between my husband, Ben (then new boyfriend), and I during a class in college. I think we’ve told stories about Meebs for over six years and they are just a part of life. Meebs are sweet little friends who average about three inches tall and will eat all your snacks. They LOVE getting into trouble but their sweetness makes up for it! Where can we find the book "Meet the Meebs?" AZ: At the moment, you can email me. I have hard cover and soft cover books available and I’m working on getting it into an ebook to sell online! There’s also a cute little plush toy I make as well! What's your favorite thing to make when not designing? AZ: Things. I like to make stuff in general. I love to knit, crochet, sew and just create things. Oh and bake! Loooove to cook and bake tasty snacks. Pinterest gives me all sorts of fun projects to work on. Explain your vision behind Pomelo and Pomelo, what things are most important to you as a designer? AZ: Pomelo & Pomelo’s purpose is to bring bright and colorful patterns to everyday products. I’ve worked for two major companies as an in-house artist and in the end I knew that If I wanted to keep growing I needed to start my own business. Sometimes you’re just done drawing palm fronds and need to branch out a bit! How did you come up with the name Pomelo and Pomelo? It's very unique so I'm wondering if there is a story behind the name. AZ: Yes, yes there is. Ben and I dream of living in a really cool area of Sarasota someday. 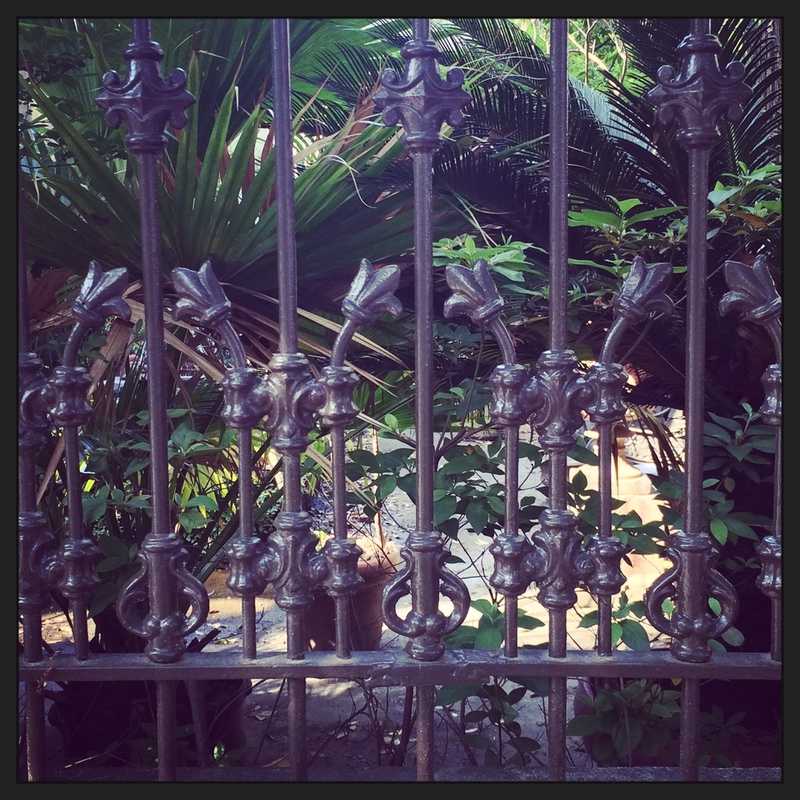 There’s lots of tropical growth all throughout these neighborhoods and we just love it. Pomelo & Pomelo is an intersection down one of those streets. We just love the name and it’s also a LARGE citrus fruit. We’re big fans of citrus, so this seemed appropriate. It represents a “someday” goal! Do you have any advice for other print designers? AZ: Draw all day everyday! There’s something really wonderful about opening a sketchbook and drawing like nobody is going to see it. I think the ability to draw well, with confident lines, is super important when creating elements for your patterns. Is there anything new and exciting that you would like to share? AZ: At the moment, not really! 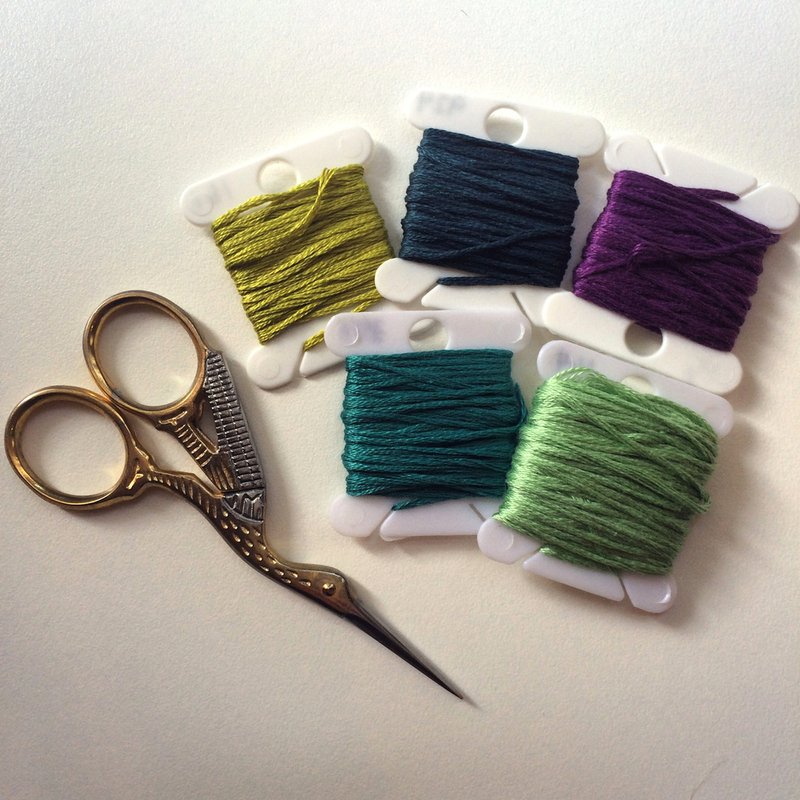 I have been thoroughly enjoying sewing with Sarah Watson’s Arcadia fabrics from Cloud 9. She’s a super fun person and I love being able to have a bit of her hanging around. All Photos were provided by Abby Zweifel. Images (left to right, starting at top left): "Live in Color" by Claire Teschel Konishi, "San Miguel de Allende" by Teresa Branda, "Skimmer Birds" by Abby Zweifel, "Triple Tree" by Elizabeth Kaiser, and "Boardwalk" by Sarah Watson. I'm happy to announce, I've had an overwhelming response for the first official Everyday Pattern post! I want to thank everyone that has submitted photographs and let you know if your photo isn't posted here it will be in a future post. Since I've had such a great response I was able to make more selective compositions with common themes and have fun with it. 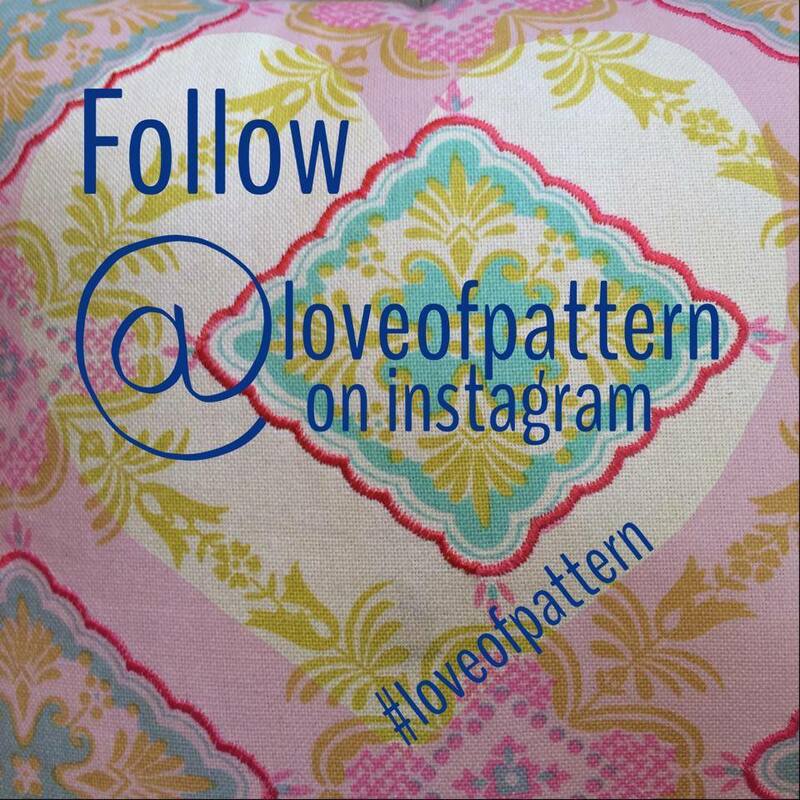 It's been great seeing the diversity of photographs that I've received about everyday pattern from different people. I think this will end of being a subject that I will be able to blog about more frequently than once a month which is really exciting. I hope the response to this grows and that I continue to get submissions. Please share this with anyone that you think would be interested in this topic and submitting a photograph. Refer back to the introduction post about this topic for the guidelines. Thanks again and enjoy! Happy Monday! I welcome your comments and feedback. This is a blog post I've been thinking about since the very beginning stages of For the Love of Pattern. Once a month, I'd like to feature photographs of pattern that can be found in everyday life. I will feature some of my own photographs but ideally I would like this to be a collaboration. Email me photographs that inspire you, photographs that show me what you think pattern is all about. There are no rules except you must submit quality images and only 1 - 2 images by the first Friday of each month. 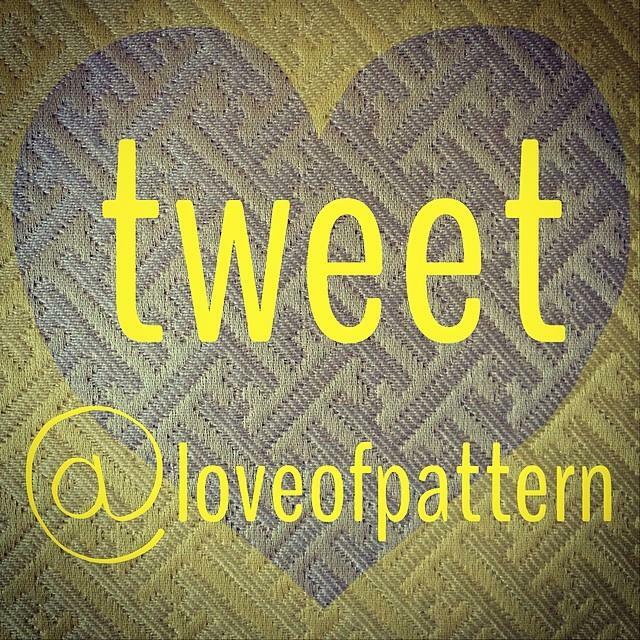 Please email images to abby@loveofpattern.com with the subject line: Everyday Pattern Blog. Give your image a title and don't forget to include your name. If you send me your website, blog or social media account I'll link it to your name in the post. Looking forward to seeing your everyday patterns! Color is my favorite part when it comes to design. Color is just as important as the design. It brings the design to life and controls the mood. Throughout the design process, I make sure to allow time to work on color studies along the way. Then when the designs are set in black and white it's easy to start adding in color and figuring out which color palettes work best for each design. I keep a color file in my studio where I collect images from magazines, paint chips, my own photographs, drawings and personal color studies. 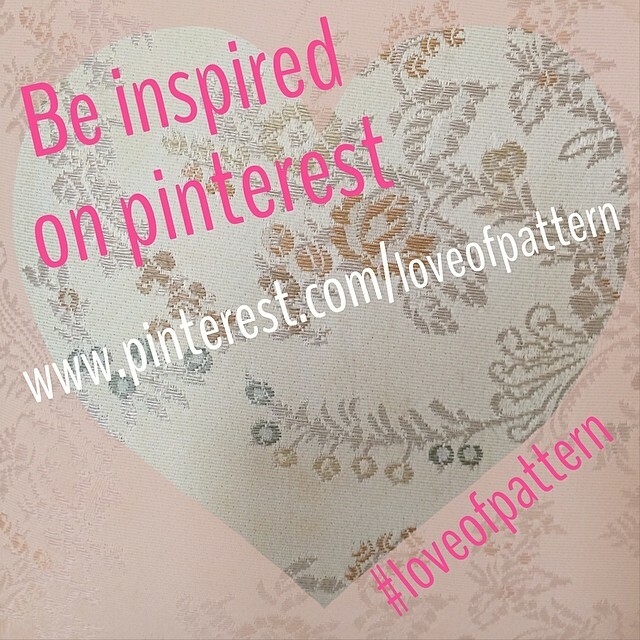 I also keep a color palette board on my Pinterest page as an easy way to collect images that inspire me. Both of these types of files I can go back to frequently to aid in creating color schemes. I use Pinterest as a quick guide and rely more on my personal colors studies and explorations for more in depth color choices. Below are some of my personal color studies with watercolor & gouache paint. These are fun quick studies, collections and color recipes. I always make sure I write down the color recipe, which makes it easy to recreate if necessary. This comes in handy when mixing your own pigments for screen printing and I find the more I explore and experiment with color the better I am at mixing colors. 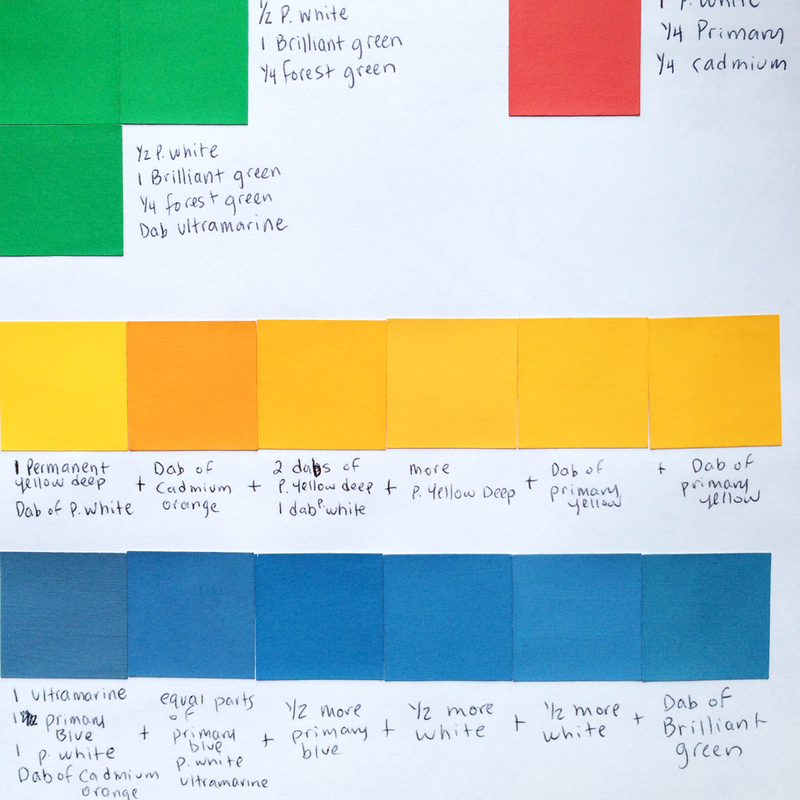 More online resources for color: Blogs & helpful palette builders. How do you create your own color palettes? Sarah Watson is an American illustrator living in Brazil, trained in textile design and repeat pattern. She studied Fibers at SCAD and is currently designing for Cloud 9 Fabrics, an all organic company. In the past she's worked with Art Gallery Fabrics and she's even illustrated two books. Pretty cool stuff! She just exhibited at Surtex for the first time this year, which I think is a pretty amazing accomplishment. Today I'd like to share a little more about Sarah, her design inspirations and a short interview that she kindly made time for in her busy schedule. What is your earliest influence that you can recall, which inspired you to go into a creative field? SW: The story that I'm usually told is that my grandmother (my Mom's mother that is), who passed away before I got to know her very well, noticed some sort of creative talent in me and pushed my parents to enroll me in art lessons. It all sort of started from there and I've been having fun in the field ever since. SW: My inspiration really comes from pen and paper. Everything I do starts with a drawing and that style even varies quite a bit depending on whether I'm using pen and ink, watercolor or pencil. Mostly the themes stick to nature, but there's a lot of imagination involved. SW: Because I was trained in textile design, I really love intricate, complex patterns. The actual repeat layout of the pattern is just as important to me as the illustration style, color or subject matter. There are a lot of things that go into making a pattern, lots of decisions, and they all have to work well together. SW: Well, because my work isn't always just being creative and there's a lot of business work too, I tend to have a broad variety of external distractions. Because I live overseas, I try to listen to international or stateside news once a week or so, to keep in touch. If I'm doing something tedious, I love to get a good pile of work, sit down with a cup of coffee and watch TV while I work. We live in an apartment with a pool, though, too, so if I can gather enough work to sit quietly for a large span of time, I love to sit at the pool and work. And of course, no music or anything then, because there are waves crashing in the background. It's all the music I need. SW: Historically speaking, there are a few people I'm drawn to, William Morris is great. He was such a jack of all trades. As far as modern designers go, right now I'm really loving everything that Carolyn Friedlander is doing. She's slowing things down quite a bit, and with the pace that design happens these days, with products hitting shelves, and then moving to the sale rack within a month, I think that's really important. I think we could all use a little more handmade. 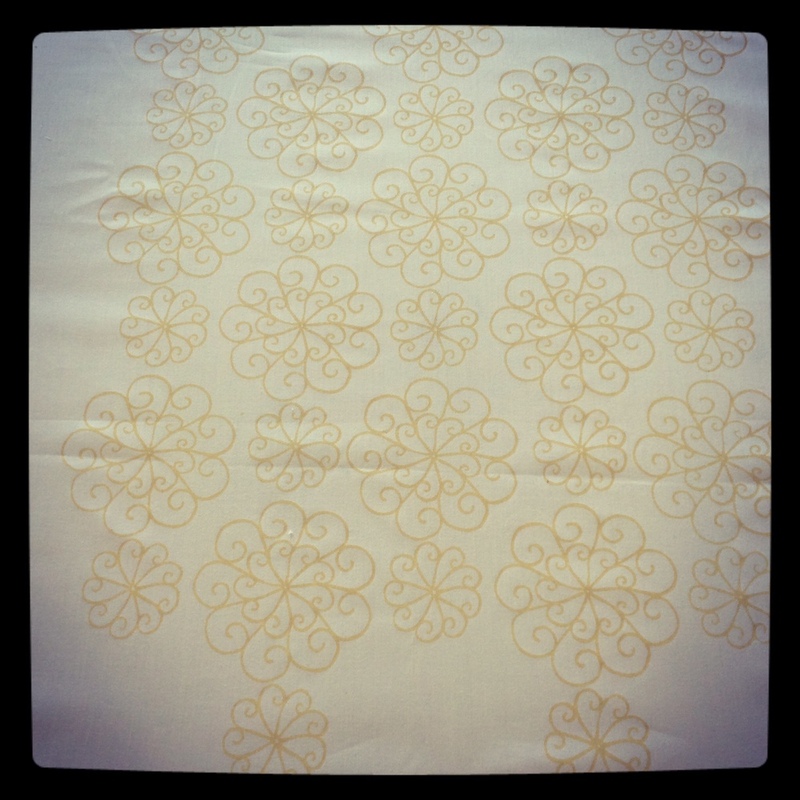 What do you think makes a strong textile design? SW: Well, this kind of goes back to my answer of what pattern I enjoy most. To me, a strong textile design has a few important elements: color, subject, repeat layout and style. Those design elements get moved around, depending on what the desired outcome is. For retail, I think color drives nearly everything. Besides textile design, are you working on anything else? SW: I am! But I can't tell you about it yet! How's that for suspense? SW: I do like to cook. Living overseas, I get homesick for certain things every now and then, so I'm getting better and better at cooking. As far as hobbies, I love gardening, anything outdoors and exercise. Explain your vision behind Sarah Watson Illustration, what things are most important you you as a designer? SW: When I quit my day job, I was leaving it because I felt like all my time was spent at work. I love to work, but there are other important things out there, life, family, giving back. I needed to figure out how I could make my schedule work so that all of those things could be incorporated into my day-to-day. A big part of my business plan is giving back. Because I've been very lucky to have supportive parents, and was born into a loving family, I feel like everyone should have the same opportunities. I allot 12 days a year to volunteering, and 5% of my profits go to social or environmental organizations. Design is very important to me, but when I sit back and look at the grand spectrum, what I'd really love to be known for is being a good person. Do you have any advice for new designers out there? SW: Hmm, I still consider myself a pretty new designer! But I think the best advice I have would to be work hard. It takes quite a while to make a profitable business, in any realm, and there is a lot of work involved. Don't take shortcuts or the easy way out, you're going to have to work very, very hard in the beginning. But if you really love what you're doing, it'll start to click, and it'll get easier and easier. SW: Well, with the way this industry works, I don't have too much fun to share right now, it's all top secret. I have a new fabric line coming out this month, which is very exciting. And I'm also pregnant, so I guess that's pretty important too! SW: Trying to convince my husband to take the day off work, and go to the beach! Make sure you check out Sarah's latest collection, Arcadia! My personal favorites from this collection are Herb Garden & Sun Spot and Bee. I love the line quality in these designs and the tiny little details. I can't wait to see what's next from Sarah and to find out all of the top secret projects that she is working on. I think it's safe to say that we will be seeing a lot of exciting things from Sarah in the near future. All photos were provided by Sarah Watson. Enjoy your week and happy Monday! As always I welcome comments and feedback. I always find that I have this reoccurring problem. I save every last scrap of fabric and I rarely use them. I just seem to be holding on to these scraps thinking one day I'll find a use for them. I decided to take some time out of my day to finally make something with these scraps that I've been saving. 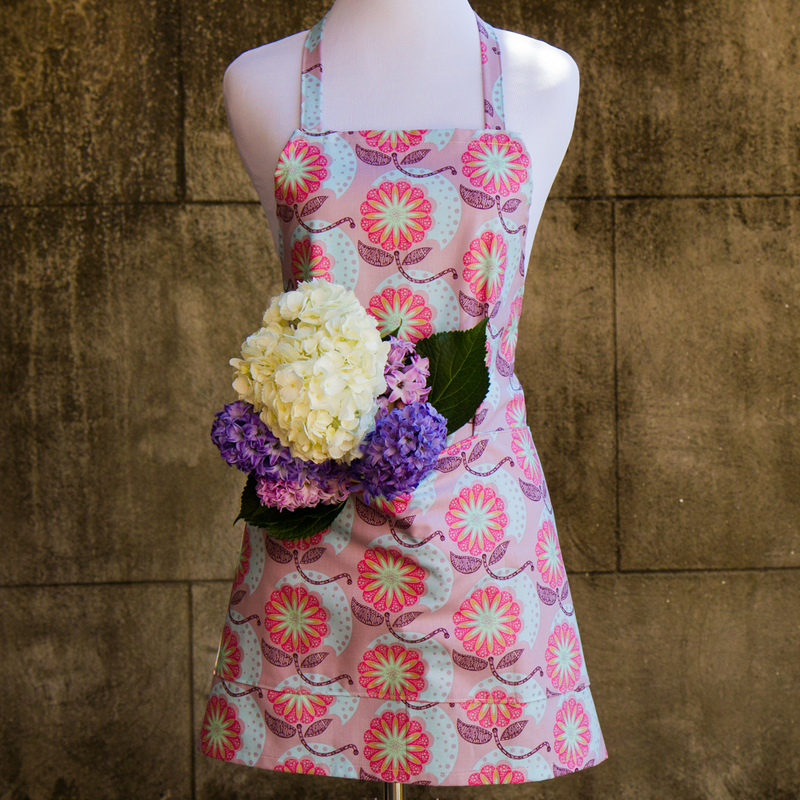 Today I want to share the fun project that I've started to use up all of my fabric scraps. I'm making handmade cards. I collected the following supplies from my studio: fabric scraps, card stock paper, envelopes, and thread. I like to use my sewing machine for projects like this because it's quicker but hand sewing works just as well. It's a good idea to first determine the envelope size that you want to use so you can cut the card stock paper to size. Paper Source is a great resources for envelopes and they have lots of beautiful colors to choose from. I decided to purchase A2 envelopes so that I could simply cut a piece of card stock paper in half to make two cards and baby envelopes because I love miniature cards. Once I chose my envelopes, I determined how to cut my paper and cut several cards to size with a paper trimmer. I cut the paper cards slightly smaller than the envelopes so that they are able to fit inside the envelopes without tearing them. I scored and folded the cards in half with a bone folder. At this point everything is prepared for card making and I was ready to move to the next step. To go along with my theme and business name, For the Love of Pattern, I decided to start with cutting heart shapes to decorate my cards. I made paper heart stencils and started cutting hearts out of all my different fabric scraps. After I had a stack of fabric hearts cut, I matched them with the different papers that I had prepared. Then I placed the heart where I wanted it to stay on the front of the card and sewed it around the edge. I did not use a pin, as this will put a permanent mark on the paper. I found that the fabric stays in place just fine so there was no need for a pin, but you could use archival double sided tape to keep the fabric in place if necessary. I hope you enjoyed this quick and easy project. It's a fun way to use up those fabric scraps you've been saving and a way to be as creative as you'd like to be with matching different paper colors, envelope colors/styles and fabric shapes to decorate the cards. Ok so lets face it, I'm new at this. I'm a new blogger, starting a new career path and have a lot of new responsibilities. I don't always know what I am doing. I have a million things floating around in my head at any given time throughout the day. Sometimes I don't know how or where to start. Some days I think I've accomplished so much and other days, I feel as though I've accomplished nothing at all. I want to be open and honest about this process and document it along the way so I've decided blogging every so often about this topic is the perfect medium. I've realized I need a more detailed plan to start tackling all these new things. I've also been reaching out to find some answers. I think it's important to know at the beginning there are many decisions to make, things to figure out and different kinds of approaches to take. It is extremely easy to be overwhelmed at this time, which can cause a sort of creative block. What I've found is that I'm not alone. No one else knows what they are doing either, or at least not when they are starting out. Other people get overwhelmed too and have difficultly starting intimidating projects. It's been a kind of comforting relief to discover other entrepreneurs feeling this way and I'm glad to be reminded that I'm not alone in this type of journey. So today, I want to share some of the tools I've been using to stay motivated to keep going down this new path. I recently joined The Modern Quilt Guild and as it turns out they have spectacular webinars available. As a member you can watch webinars from archives or sign up for live viewings. So far I've signed up for three. Two I've already watched, Starting your own Business and Awaking your Color Genius. The third one, Developing a Financial Plan, is coming up later this week. The two that I've seen so far have been very beneficial. They are engaging and delivered in different ways so it's easy to keep my interest and I look forward to signing up for more. I highly recommend finding a few webinars to view that relate to your field or demonstrate skills that you want to learn. They are a convenient way to continue learning about anything that interests you. BurdaStyle and Skillshare are also other great sites to explore for webinars. I've been reading this new book written by Lee Anderson of Starkweather. It's called On Starting Somewhere: Entrepreneurship before success. Lee outlines her own moments of vulnerability throughout her journey. She reminds me that it is ok to be vulnerable, to not know exactly what I'm doing all the time and the importance of conversation during the beginning stages of starting something new. I'm reminded that one step at a time is really the best way to accomplish things instead of making an impossible list of things that I feel need to be done in a twenty-four hour period. I believe the different elements outlined in this book are extremely important to analyze about yourself to be able to work in the best way for you and your business. I was able to have a conversation with Lee about these elements: mornings, stance, routine, problem solving, people, regret/sacrifice and why. This has really helped me to analyze my routine and figure out what works and what doesn't for my business. I admire Lee's honesty at this point before success. It is not something easy to admit but once you do talk through these things, it's so much easier to move on towards your goals. The book Blog Inc. by Joy Cho has also been a very helpful guide to starting a new blog. It has introduced me to bloggers different from my field of interest and explained the different types of blogging to a newbie like myself. I like the way she breaks down blogging into basics, finding your voice, powering your blog, etiquette, and then even further into business, monetizing and growth. Her book goes into more detail than I need at this point but I can tell it will always be a good resource to go back to when I'm ready to move on to the next step. I've also been looking to other bloggers for advice and came across this post by A Beautiful Mess. The article reinforces the importance of defining a few key things when starting a new blog. Choose a theme, make friends, experiment, don't do it all, and develop your style. It often runs though my head that I'm not a writer and people will be wondering why I am even blogging. I admit that writing is not second nature for me, but I do feel it is an important part of my process. I came across a great article, written by Joshua Becker, that reminded me of why I should continue to blog. I'll become a better writer and thinker, meet new people and inspire others, develop an eye for more meaningful things and become more well rounded in my mindset. I can't express enough how extremely beneficial podcasts are. I like to fit them into my morning routine or afternoons in the studio and have found it's an easy thing to squeeze into my day. In fact, I look forward to them. Lately, I've been listening to After the Jump and Entrepreneurial thought Leaders. ATJ, is Design*Sponge founder Grace Bonney's podcast about art, design and the creative community. ETL, is Standford's podcast where innovative leaders from all different backgrounds share insights about entrepreneurship. I'm really excited about how these podcasts are sharing information. It seems like there are two ways of thinking when it comes to being an entrepreneur. You can be extremely secretive or you can share information. Neither way is right or wrong but I personally believe sharing gets you farther when it comes to personal and professional growth. I'm glad to see more people connecting with others without the incentive for personal gain. It is important to remember and cherish the relationships you build; it's these relationships that can keep the foundation of your business alive. I'll leave you with a few of the episodes that I found to be extremely inspiring: ATJ Productivity Tips, ATJ Hand-made Design, ETL Do what you love & ETL Creativity Inc.
A few words of advice: always be learning, stay curious and connect with others.